THANKS TO ALL OF YOUR GENEROUS HEARTS, THE CHILDREN ONCE AGAIN HAD A WONDERFUL CHRISTMAS. EVEN THOUGH WE TRY TO FOCUS ON THE REAL REASON WE CELEBRATE CHRISTMAS WITH THE CHILDREN, IT IS STILL IMPORTANT TO ALLOW THE CHILDREN TO ENJOY JUST BEING KIDS AND OPEN THEIR GIFTS ON CHRISTMAS MORNING. BY THE END OF THE MORNING WE ARE ALL WADING AROUND IN WRAPPING PAPER WAIST HIGH!! I THINK THAT ONE THING THAT THEY LOVE ALMOST AS MUCH AS THE GIFTS UNDER THE CHRISTMAS TREE, IS THE CHRISTMAS STOCKINGS THAT AWAIT THEM AS THEY ENTER OUR LIVING ROOM AREA ON CHRISTMAS MORNING. THEY LOVE TAKING OUT EACH LITTLE THING & SHARING IT WITH THEIR OTHER BROTHERS & SISTERS. WE NEED TO SAY A BIG THANK YOU TO ALL THE LADIES FROM THE MISSION SAN FELIPE CHURCH, WHO HELPED LINDA ORTIZ (CHAIRMAN) PUT ALL THESE TOYS IN THE STOCKINGS & ALSO WRAPPED ALL THE GIFTS FOR THE CHILDREN AT SONSHINE HACIENDA. IT REALLY DOES TAKE A VILLAGE!! THIS CHRISTMAS WAS A BLESSING BECAUSE SO MANY OF YOU HELPED TO MAKE THIS A VERY SPECIAL DAY FOR OUR CHILDREN AT SONSHINE. THANK YOU SO MUCH! 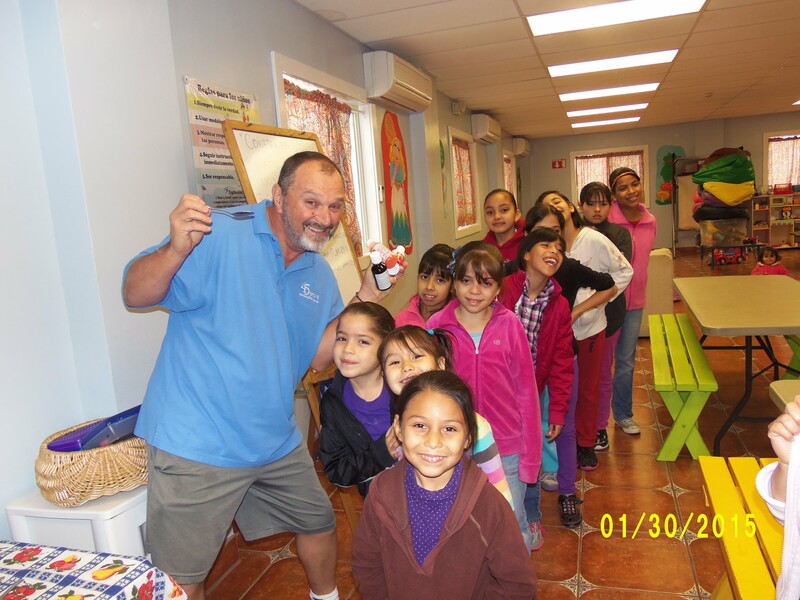 Alvaro and Diana have been serving as Administrators at Sonshine Hacienda since before we opened our doors in 2012. They are such faithful servants of the lord. This work is difficult at times and can be exhausting as well. But they never complain and are always ready to help in any way they can. 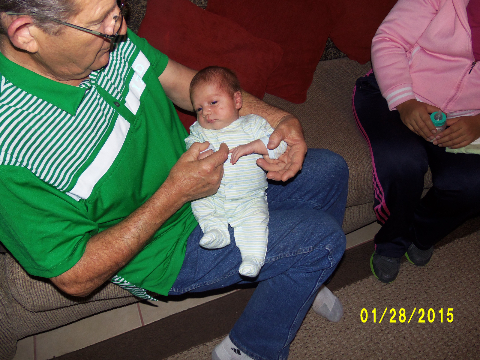 On January 4th, they had a precious little boy...Juan Francisco. Of course, I am his Nanna #2 (Grandma #2). Right now he sleeps all day and is awake at night...BRING BACK MEMORIES?? That is why the young have the babies. I thought it would be fun for the children to give Juan Francisco a "Bienvenida" (welcome) baby shower. None of them had ever had the opportunity to participate in a baby shower before...so this would be fun for everyone. We decorated our dining and living room with balloons and streamers. We decorated the tables and had a special center piece made by Mama roberta & Mama Rosy (two of our Nannys). It was make out of baby pampers. It as so adorable. The older girls made lovely invitations to hand out to the ladies that were invited. Even the boys participated! We served a nice lunch, followed by a beautiful cake. Deanna received a multi-purpose stroller from us and the children wrapped extra gifts from them, and placed them in the stroller. The children served the lunch to our guests and cleaned the tables when lunch was finished. I was so proud of their behavior...they are growing up and we are so proud of them. Welcome to sunshine Hacienda Juan Francisco. You are loved! Unfortunately I am not a tech type person and you might have already figured out!! We seem to have a "Gremlin" in our newsletter program that we have used for the past two years. I have few hairs left on my head, but trying to keep from loosing my temper. This has been the second month that strange things have happened to the newsletter after we hit "send" on the final product. All looks perfect...but alas, NO. So if any of you are Mailchimp experts or at least think you can help us, please contact us. You can call us on a U.S. Phone: 916-222-3264. 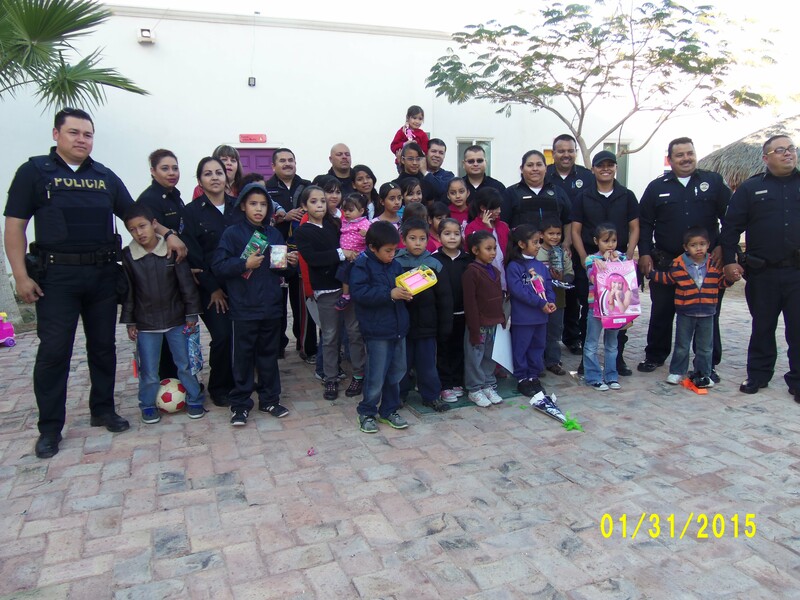 For the second year, the San Felipe Police Police Department arranged to visit our children. 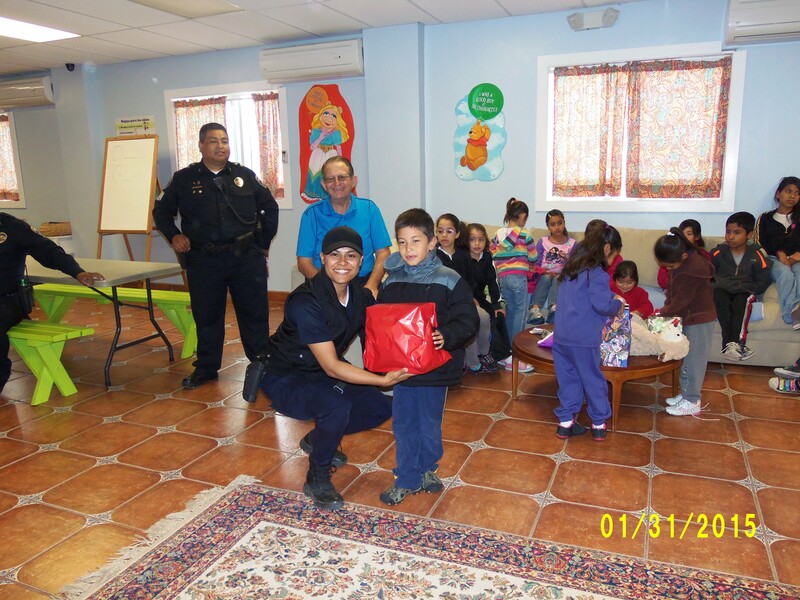 They opened presents that they brought each child and had a piñata for them, as well as cake and other goodies. We had the commandant (Chief of Police) and other high ranking officials spending time with the children. It was a sweet time. The Comandant asked as they were leaving if they could return the following week and share pizza for lunch with the kids. I do believe we have Guardian Angels watching over us! !